Enjoy Concept Art Fair, 'The Waterfront Fair in the Round', During Art Basel Week in Miami November 30 - December 4, 2016. CONCEPT FAIR, November 30 through December 4, 2016 will coincide with Miami’s Art Basel fair week. 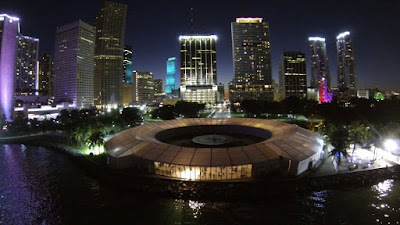 The new “waterfront fair in the round” focusing on modern and contemporary works will be held in a spectacular waterfront fair venue in the heart of downtown Miami’s Arts, Museum and Entertainment District during America’s largest international fair week. Just steps from world renowned restaurant dinning, five star hotels and luxury shopping the fair offers abundant parking and shuttle service. Attendees and guests will enjoy a juried section for “fresh to market” of today’s newest international artists artworks. Selection process by the fair’s Curatorial and Dealer Selection Committee will offer collectors new and intriguing works each year incorporating new media, video, art performances, urban art and public sculpture. The fair's Reimagining Public Sculpture Exhibition is an outdoor exhibition space offered to Art Concept exhibitors to display public monumental sculptures, installation projects and Urban Art by today’s most renown graffiti artists adjoining nine acres of Bayfront Park lush green tropical landscaped gardens. Bayfront’s adjacent Tina Hills Pavilion will allow invited artists state of the art stage environment for art performances. 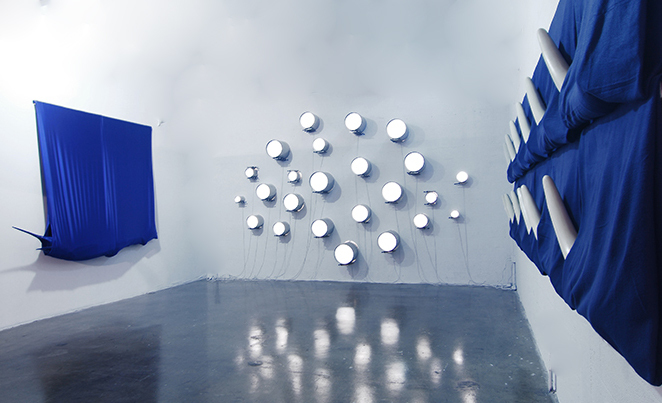 This unique setting will allow collectors to enjoy a full schedule of art experiences only at Art Concept and not available at other satellite art fairs. Concept Art Fair is operated by Next Level Fairs, owned by Lee Ann and David Lester. Since 1990, the Lesters have organized more than 110 major international fairs in Miami, Palm Beach, Naples, Hong Kong, New York, Los Angeles, Chicago, Dallas, and Greenwich. Many of their fairs have been acquired by major media companies. Art Miami was purchased in 1998 by Advanstar Communications and the Palm Beach International Art & Antique Fair, ArtPalmBeach, Palm Beach Town and Country, and the Texas International Fine Art Fair were purchased in 2001 by DMG World Media. IFAE later reacquired ArtPalmBeach and the Palm Beach International Art & Antique Fair. Long known as innovators in the fair industry, the Lesters established their most ambitious art fair venture, SeaFair - The Megayacht Venue, in 2007. Expoships’ $40M specially designed and constructed art exhibition vessel, offers art dealers and luxury lifestyle purveyors access to many affluent communities along the US East Coast in a unique, smaller, club-like fair format. The Lesters will continue Art Concept November 30 - December 4, 2016 at Bayfront Park during Miami Art Week, Art Palm Beach January 18 - 22, 2017 and Art Boca Raton March 15-19, 2017.